Last edited by Mic on Mon Apr 15, 2019 9:20 pm, edited 1 time in total. 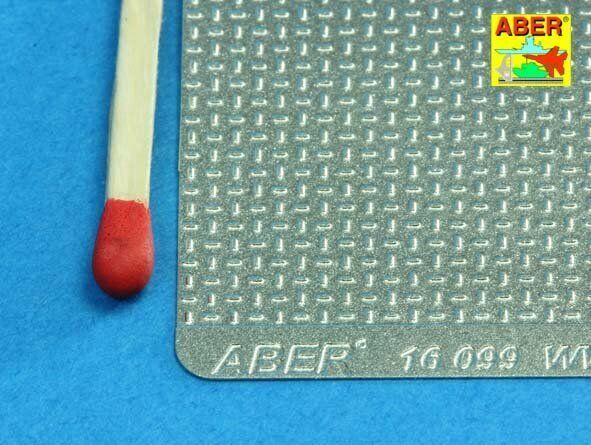 ABER Product Number 16099 WW 11 German Pattern Treadplate. The 16 in the product number is the scale. It is available. Lucky for us StuG guys. No other way to easily fix where we have ground away molded on tools. If you just want to do a vanity job rather than actually cover up damage Archers Decals make 1/16 Treadplate decals. I've used that plate for making a tanker top walkway, very versatile. You can also look at sites than support 14th scale trucks. There are dozens of brass patterned sheets out there that might help too. Thank you for the fast response guys! I should have mentioned and apologies I did not (Rushing...) that it's for a Stug III. That Aber 16099 isn't diamond tread it seems, I'm guessing the Panzer IV was different. That last picture looks a tad new, not like old metal with fresh paint, more like new replacement metal with fresh paint. One would need to see the rest of that piece of armour to see if there were any original plating to compare. That is one of the problems with a restored vehicle, they don't always get it dead right. It could be the factory had to use what it could get hold of. It was hard times for everybody. Just think of Land Rover post Brexit!! And that is why ABER does not do the Diamond Pattern Treadplate, It does not conform to the Treadplate pattern originally installed on German Armour of 1939/1945. jarndice wrote: And that is why ABER does not do the Diamond Pattern Treadplate, It does not conform to the Treadplate pattern originally installed on German Armour of 1939/1945. I must have just looked at at least 100 black and white old wartime pictures of just Stug 3's, and that was the only picture where the tread plate pattern could be clearly seen. The vast majority had plain smooth plates, not one of them had any pattern on either the front or rear fenders, and there were a lot with Zimmerit on them. Plastic throw away BBQ plates , the bottom of them is perfect. Location: Darwin , N.T. , Australia. Trust the battlefield shots of wrecked panzers before you do many museum restorations. It is a fact that some un-wrecked machines made their way into the hands of collections but they were very few. Thank you for the reply everyone, so it seems I'm not the only one confused! Those restored vehicles definetely don't have the same pattern. 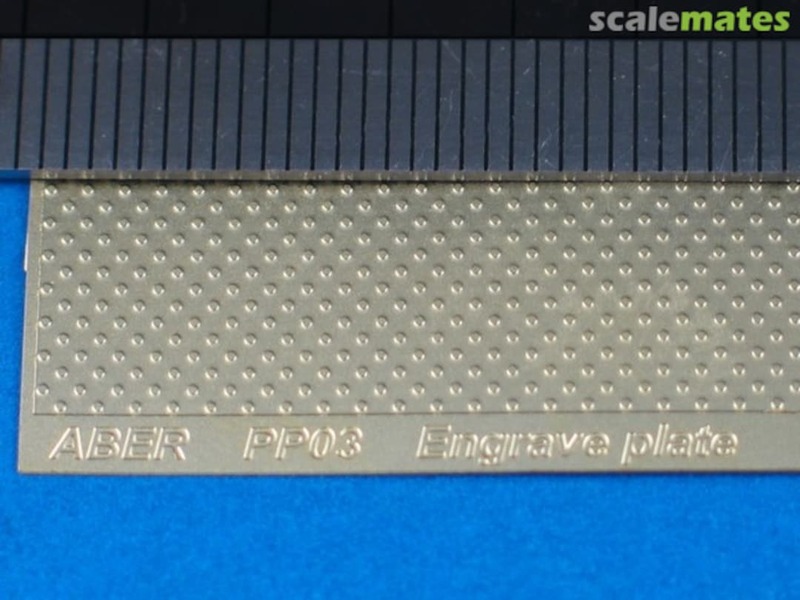 It seems unless someone can correct me, that the correct pattern is this from Aber PP03 - It's very nearly the correct scale. That Aber sheet may be a little on the small size for pattern, but could do. Yeah, we've learnt that museums do sometimes use what they can get hold of from time to time, and don't always get it historically correct. And unfortunately, some modelling suppliers don't realise. It may actually be slightly too big! If you count the dots on a real stug, it's a couple over, compared to that brass sheet! Anyone got access to a real stug to compare?